The kitchen is a hub of activities for us, so we are hoping that it can be both beautiful and functional. It took us about 2 months to complete our kitchen renovation. 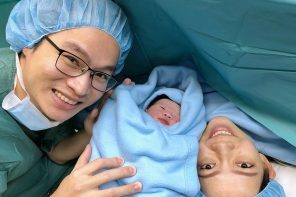 We are glad to say that it is not too difficult. It takes only 5 steps to turn your dream kitchen into a reality. Pinterest is our best friend when it comes to home renovation. 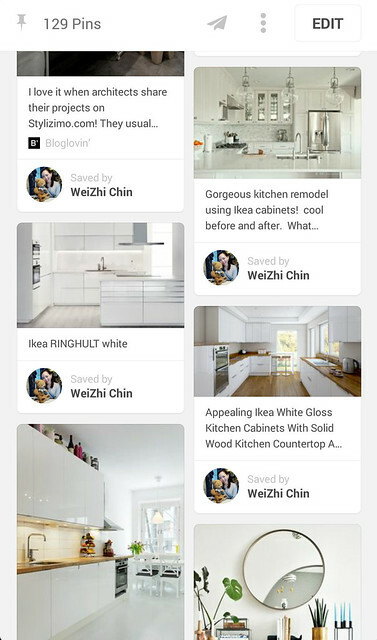 We started to pin down kitchen images that we like way before we got the keys to our new home. It is quite apparent that we will definitely go for a full white kitchen. Apart from that, www.ikea.my ‘s kitchen gallery features various images with beautiful decor, smart layouts, and hardworking storage. 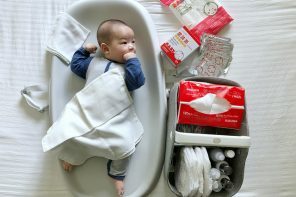 One can also view the products in the room by clicking into the image. Of course, nothing beats a visit to a brick and mortar IKEA store for the opportunity to “touch and feel” the merchandise. 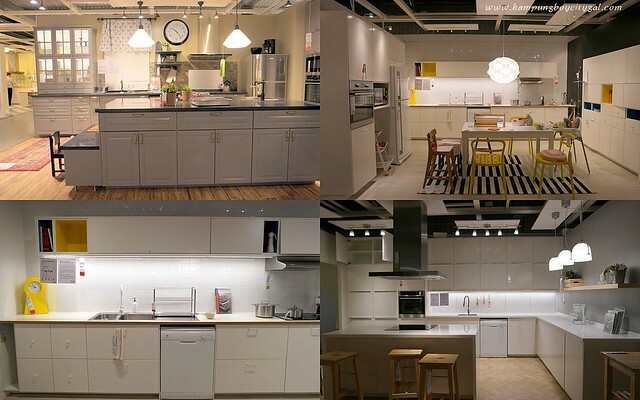 We have decided to go for IKEA kitchen for various reasons (refer here). 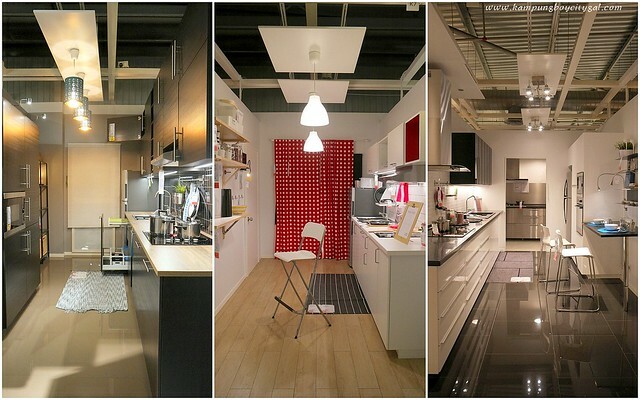 The first step to design your own IKEA kitchen is measure your kitchen space! 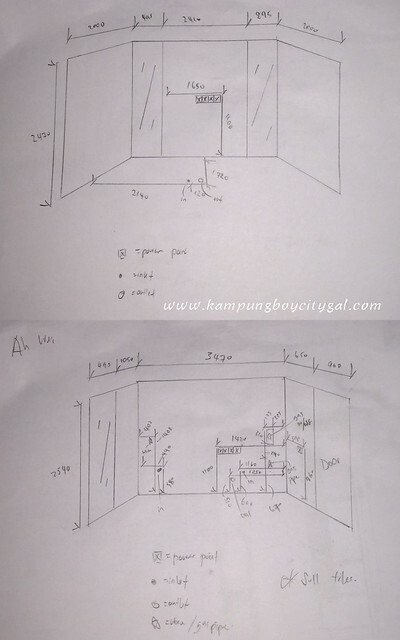 It is very important to get your measurement correct as it will form the basis of your planning. Grid paper is provided by IKEA here. Or if you are more inclined to engage for professional measurement services just like us, remember to make an appointment with CT art (IKEA’s contractor) via IKEA. They will come to your house to take all the essential measurement and notes. 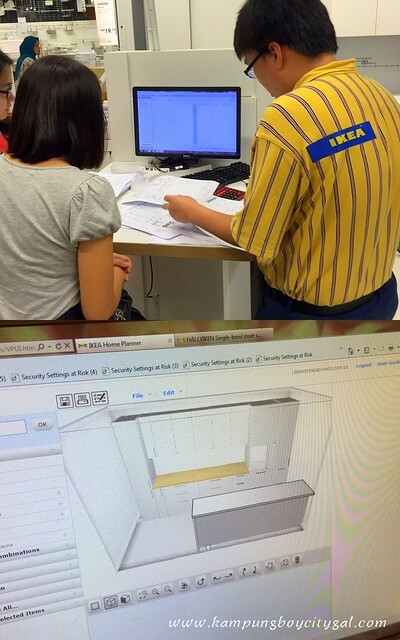 Just talk to any friendly IKEA personnel and they will help you with that. RM 25 is chargeable for the measurement service. 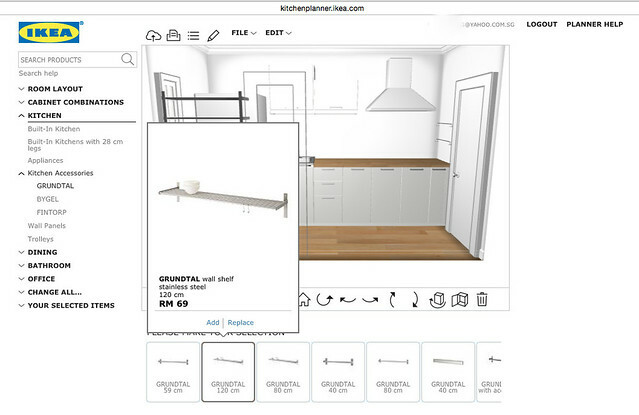 Create a user account on IKEA planning tool, and with the precise measurement done by CT art, you can start to design your own kitchen! The planning tool is very user friendly. First you will need to set out a space according to the measurement. 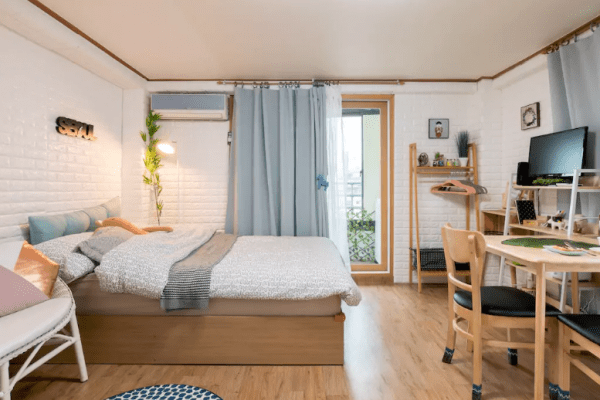 Allocate space for appliances. Then have fun dragging and dropping the base cabinets to fill up the space. After that, you can add in table tops, basins and even kitchen accessories into the design plan. 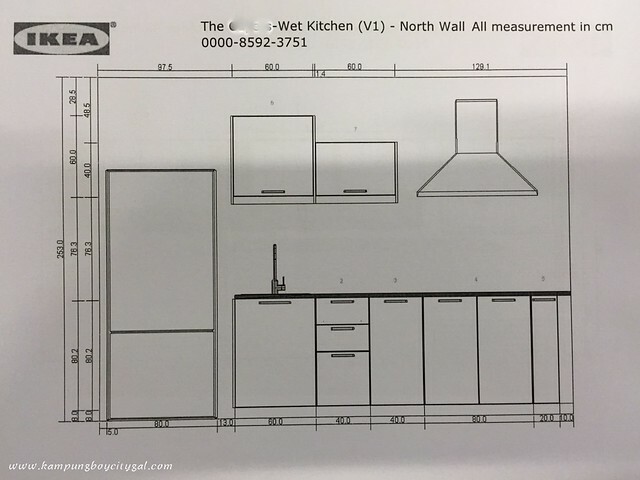 We have two designs – one for wet kitchen and one for dry kitchen. It was quite fun to design our own kitchen as we can have full control on what products to choose. If costing is your concern, just click on print to have a rough estimate on the total price. 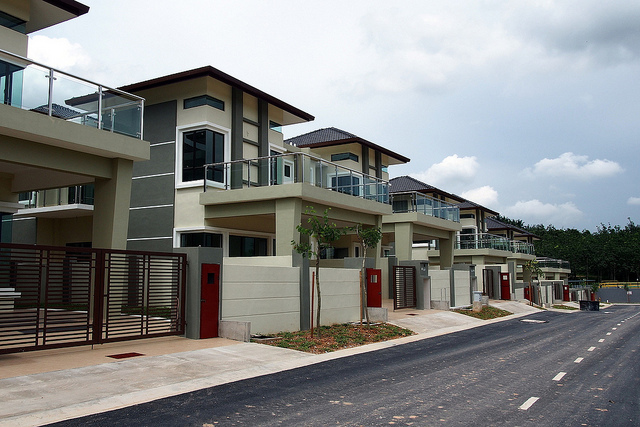 If you are exceeding your budget, you can always go back to modify your selection. One of the reasons why we chose to design our own kitchen layout on the planning toll is to save time. 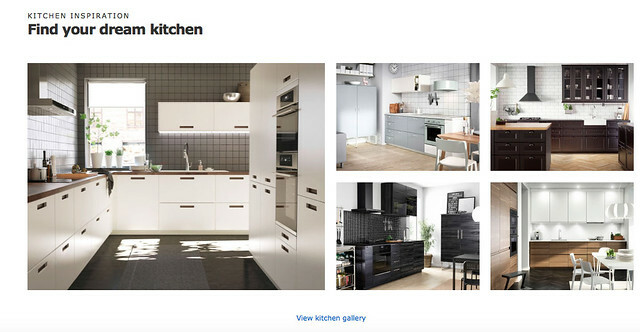 IKEA’s specialists are always quite busy, but as an IKEA family member, we get to go online to book an appointment with a dedicated kitchen specialist. He or she who will sit down with you for 1.5 hours to plan your dream kitchen. They will take you through every aspect of the planning process from what appliances are needed, to all the small finishing touches like what handles are best for you. What’s more, it’s free of charge. I must say that they are pretty good in fine tuning our design and giving us practical advises. 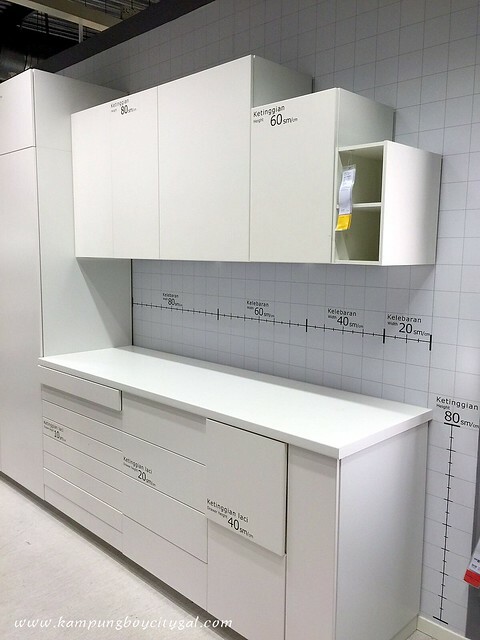 Remember to take the opportunity to look at the various cabinet sizes when you are at IKEA store. 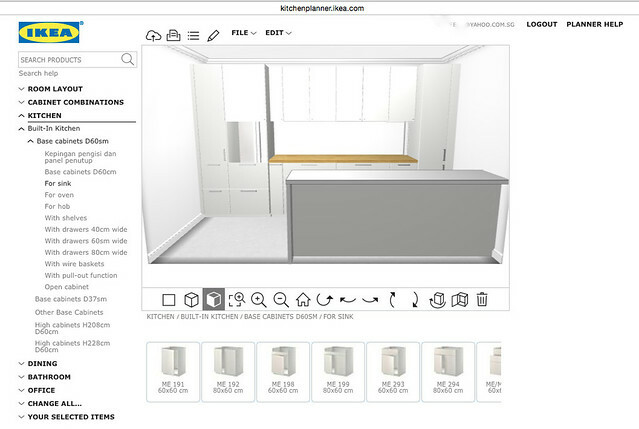 We can visualize our design better after checking out the various cabinet sizes. 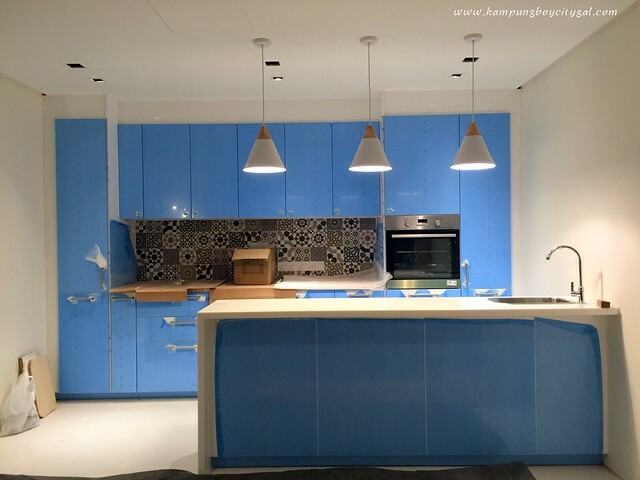 Same goes to the smaller details such as inner fittings, table top, door materials, cabinet lights and etc. We have to decide on which exact materials or products to be used inside our kitchen. 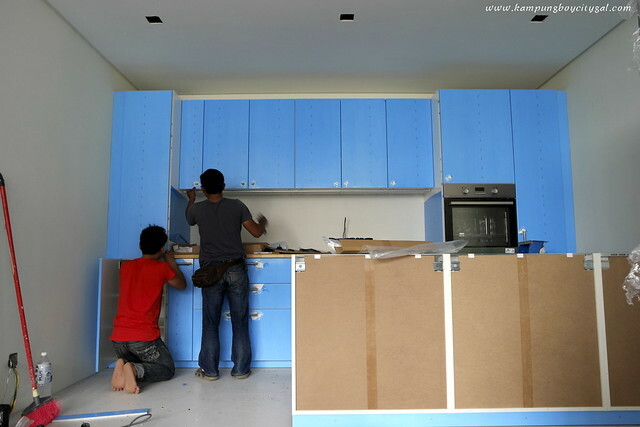 Once the design is finalised, the kitchen specialist will print out the final design and final product list. Payment can be made as you check out and the products will be delivered to your house within 7 working days. Delivery charge is RM 80 flat. 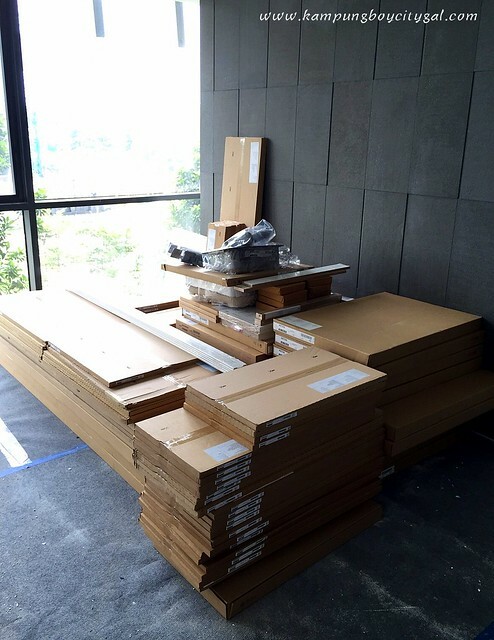 You know that you are nearing the final stage of your kitchen design when the installers come! It took them only 2.5 days to install our wet and dry kitchen. Installation fee is 10% of your kitchen purchase. 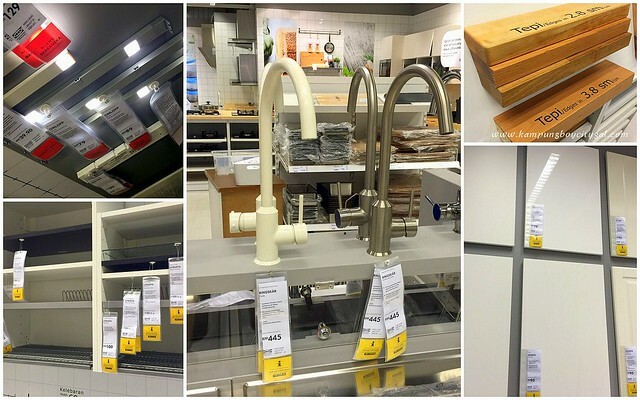 You may have to make another 1-2 trip to IKEA during the installation process. The installer will check on the products delivered and to identify any defect items or missing items. You will then bring the defect items back to IKEA for a refund, and to repurchase any items that are missing. Sometimes, some products are out of stock when you first order your kitchen. You will have to go back to the store to purchase when the installers are coming to install your kitchen. 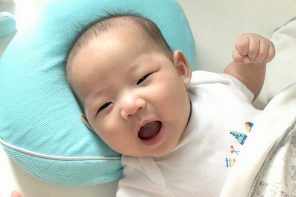 I hope you find this post useful! Building your dream kitchen really is as simple as that!